According to eyewitnesses, Tony Zitta, a young man who was undergoing the mandatory National Youth Service Corps (NYSC) program in Nigeria’s capital city of Abuja, was involved in an accident, robbed by police at the accident scene and left to bleed to death. 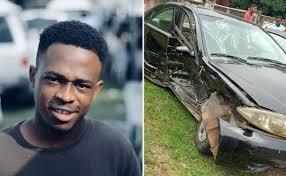 A twitter account called @thecapitalmvmt narrated that: “Tony Zitta, a corper serving in Abuja and a founding member of the Capital movement was driving home and was hit at the junction of Diamond bank, Wuse II along Ademola Adetekumbo. “An unidentified BMW 325 CI rammed into Tony’s Toyota Camry leaving him unconscious. 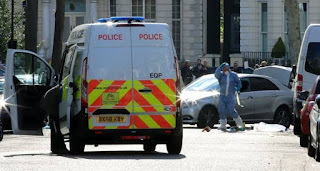 Witnesses at the scene claim that the first police response unit instead of helping Tony (who was with the ticket money from the event) looted his vehicle”. The account added that the police tried to cover up the culpability of the BMW owner by "helping the driver of the BMW to escape, clearing his vehicle and removing his license plate. Then leaving Tony there to die". The account added that "some ladies at the scene however came and intervened as the first policemen tried to steal his items successfully, saving his computer and camera. "As the ladies created a commotion, other people came and made sure the second group of responders carried the BMW and Tony’s camry to the police station as some friends of the BMW owner had sent a tow truck to try and move the BMW away from the crime scene". #TheCapitalMovement said passers-by took Zitta from one hospital to another until he passed on after losing too much blood. “He was referred to Gwagwalada teaching hospital an hour away. They claimed they drained his head of blood and he was stabilizing. The family and friends brought several doctors and neurosurgeons to see him but the hospital didnt allow claiming he was ok. Then on Monday morning he passed”.